Wait, he’s crazy! Help! Help!! 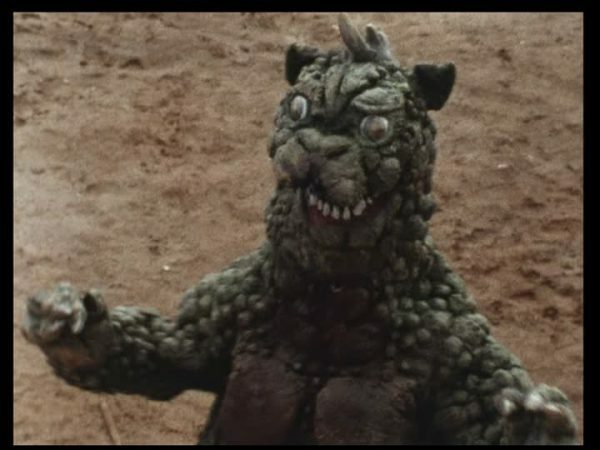 Everyone knows and loves Gabara as the lizard cat monster from Godzilla’s Revenge that bullies Minya until Minya learns to stand up for himself. And then Godzilla beats him up as well for good measure. Now Godman gets a turn at fighting that bully jerk. 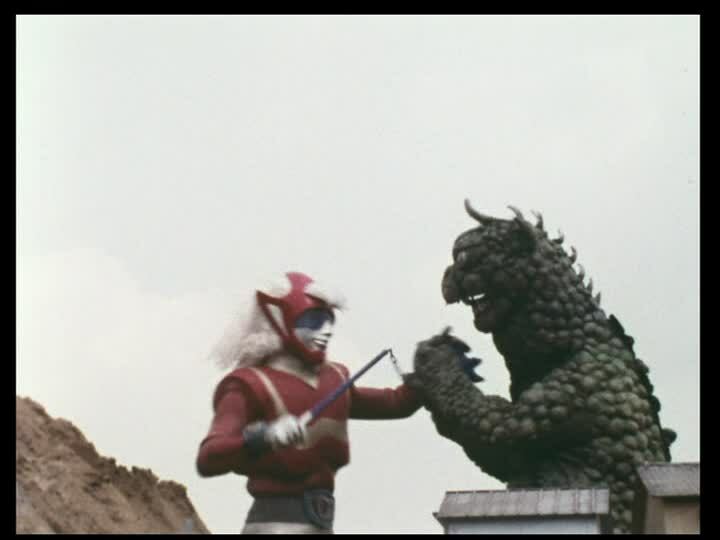 That’s reason number one why we’re starting off with the second episode of Godman for March of Godzilla: Godman, a familiar and deserving monster gets beat up! Reason number two is this is the earliest episode of the DVD, but let’s pretend my made up reason number one is the real reason! A toad gets nuked and turned into Gabara. 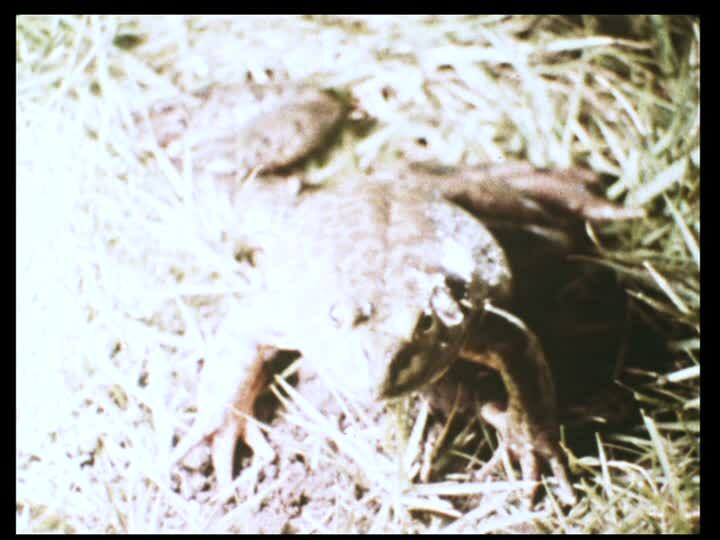 Just why someone is nuking a toad is never explained, nor why the toad mutates into a cat lizard monster with electric powers and an inferiority complex. 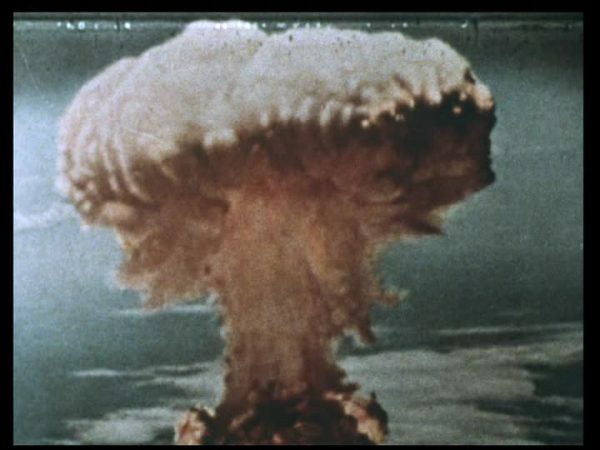 Shouldn’t they have nuked a cat and a lizard? Ours is not to reason why, but only to watch Gabara die. The only episode of the series on the DVD is Part 4, and by now Gabara and Godman are both big and fighting in the city. Gabara has a fighting strategy that consists of lying on top of Godman and slapping him repeatedly. Somehow this lasts for a while before Godman starts using his flail and his exploding disks on Gabara. We unfortunately jump to tsuzuku before we get a conclusion, so it will be a mystery if Gabara is murdered by Godman, or if he’s just totally beaten up. But based on Godman’s actions in other episodes, that answer is yes, Gabara is murdered. 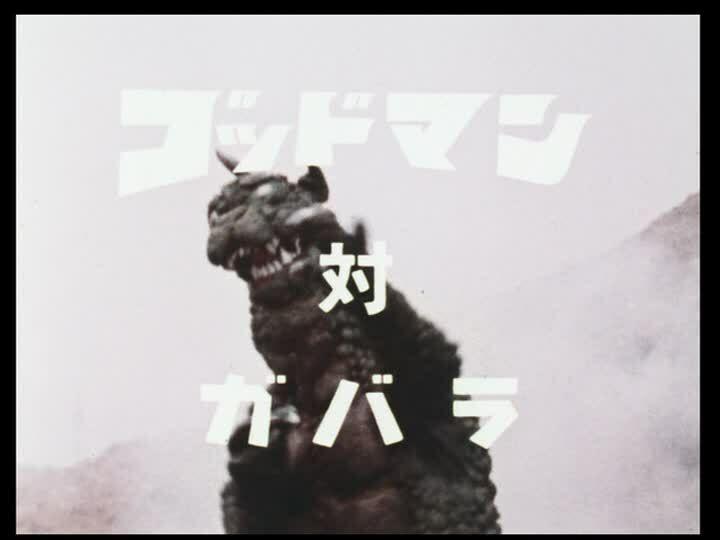 And as Gabara is a big bully who picks on the best kaiju ever, Minya, he deserves to die. He might even be one of the few legitimate Godman murders of the series! Shots of the missing episodes I have seen include a bit where Godman is flying around and Gabara grabs him, at this point Godman hasn’t grown big, but is about the size of a toddler in Gabara’s arms, which brings up some odd scaling issues. Weirdly enough, this is probably one of the best episodes of Godman, because we see a monster we know that deserves to get beat up get beat up. Everything else turns into crazy town, a bit of which we get hints of here as Godman makes little effort to not get slapped around by Gabara, who is lying on top of him. If you think that sounds vaguely perverted, let me tell you this series looks incredibly perverted with the modern, jaded gaze you find on TarsTarkas.NET. You’ll find out more as March of Godzilla: Godman continues! More Godman goodies on the Godman Splash Page!